This post is part of a social shopper marketing insight campaign with Pollinate Media Group™ and Tony’s Pizza, but all my opinions are my own. #pmedia #tonyspizzeria http://my-disclosur.es/OBsstV. Date nights out sadly do not happen very often for my husband and I. Budget constraints (just one of the drawbacks of being a single income family), time constraints (my husband works retail, so weekends are usually out for us to go out), and our two year old daughter (who is presently going through a "mommy do it" & apparently no one else can phase) have ensured that date nights out for my husband and I are few and far between. Date nights in that are easy on the wallet & can easily happen when the little one is napping or has went down for the night. 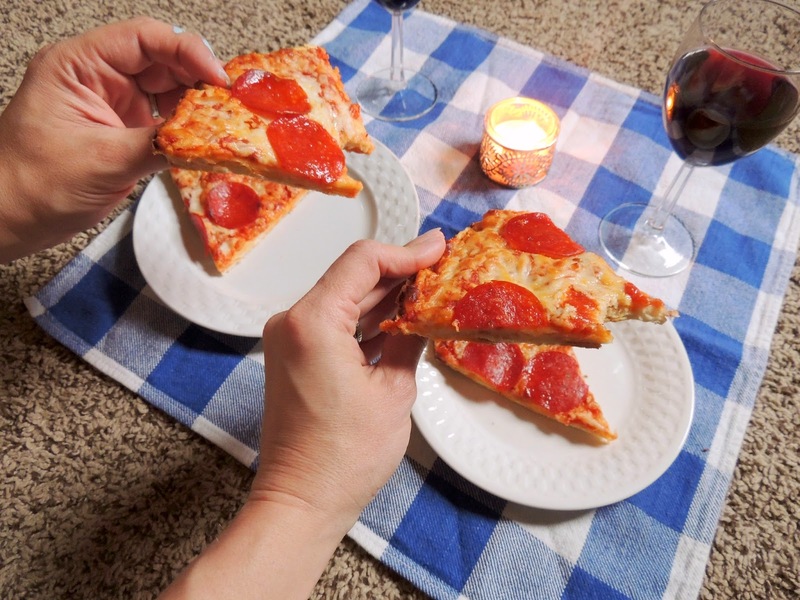 Last week I went to Walmart with the goal of creating a fun and delicious date night-in for my husband and I for under $15. And guess what, folks? I succeeded! Yep- delicious, pizzeria style pizza, a bottle of red wine, a movie rental, and even ice cream for two for less than $15. I am actually a frozen pizza snob. And I will admit that it has been a very long time since I have partook of a Tony's frozen pizza. You all, I was amazed! 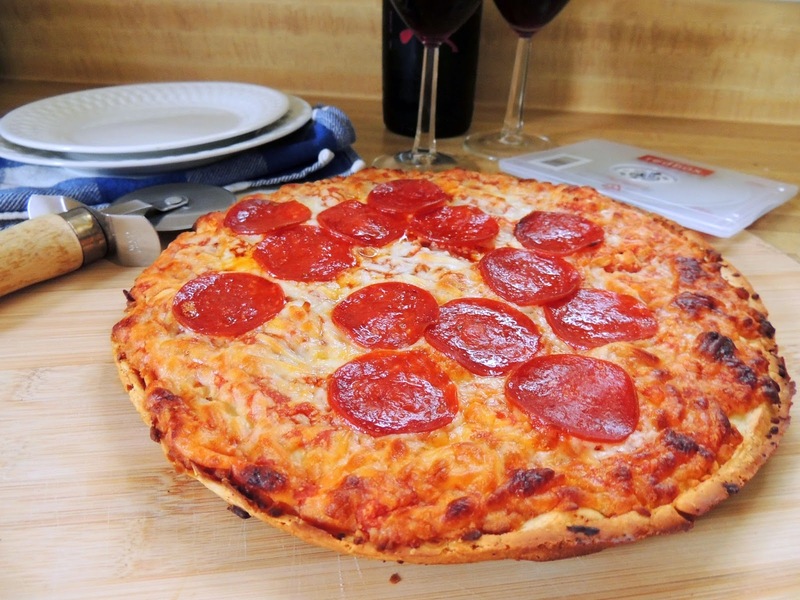 The sauce was delicious, the crust was perfectly crispy, and the cheese & pepperoni were tasty! Pizza, red wine, snuggling on the floor watching a movie with my love, and my baby girl soundly sleeping nearby? Awesome. No guilt for spending more than we could afford or for leaving our daughter with a babysitter? Priceless. 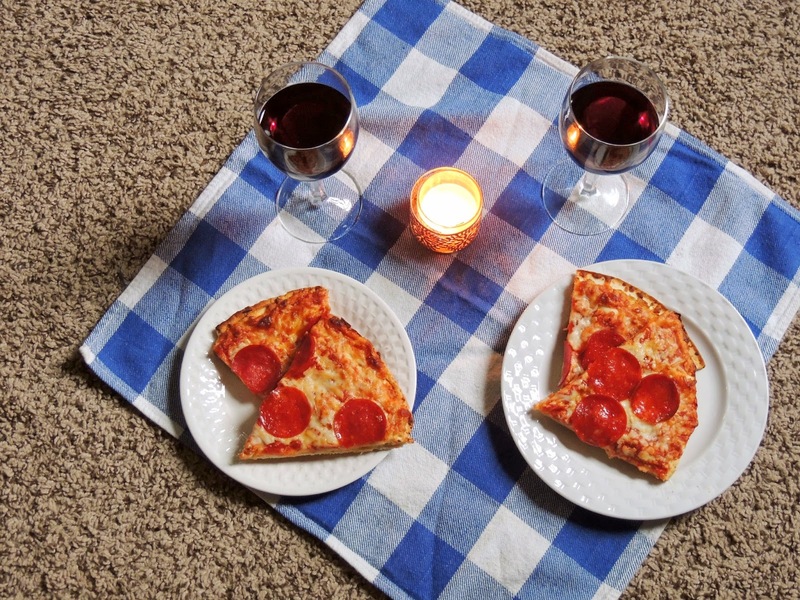 When was the last time you had a fun pizza picnic date night-in with your honey? SAVE 75¢ on any TWO (2) TONY’S® multi-serve pizzas (11.04 oz or larger) in the freezer aisle- the coupon is available while supplies last, so HURRY. Click Here to Snag Your Coupon Now! Looking for even more budget friendly, date night ideas? Check out my 6 Date Night Ideas Under $20 & 2 Hours.